Want a discount? Become a member by purchasing #navlife Membership Card! 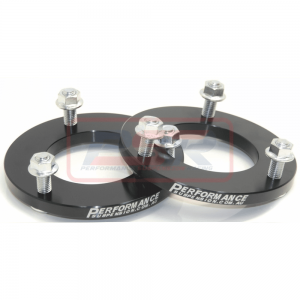 PSR’s 20mm strut spacers are a great way to trim the height of your IFS vehicle or gain a more down travel / working suspension travel. 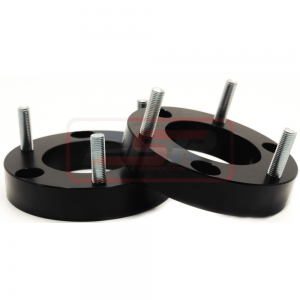 Generally this spacer will lift between 35-40mm depending on starting height. Bolt on design is as easy as removing the strut from the vehicle, bolting on and re-installation. Note: Under full bump travel strut can become solid and cause damage. To test, remove spring, install onto top mount, re-install to vehicle and fully bottom control arm out. If strut is bottomed out with weight of vehicle on control arm then it is recommended not to install to vehicle. Sold as a complete kit.